Mandating law enforcement data collection on homicide cases involving people of color. In addition, state advocates can include policies that aim to dismantle the school to prison pipeline – which are critical to keeping youth safe and in schools. Click here for full the description of Trayvon’s Law. In Florida, the NAACP Florida State Conference and the Dream Defenders will advocate for their state to adopt Trayvon’s Law immediately. Their work could lead to the end to the “dangerous stand your ground” law that played a role in the acquittal of George Zimmerman for following, approaching, and killing unarmed 17-year old Trayvon Martin 16 months ago. 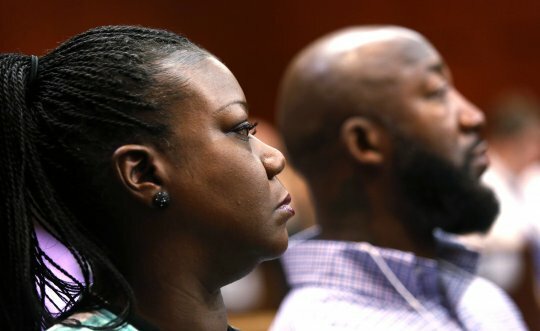 July 31, 2013 – In the wake of George Zimmerman’s acquittal, Trayvon Martin’s parents, Sybrina Fulton and Tracy Martin, are continuing their work to combat gun violence and inequalities in America. Fulton and Martin are meeting with the National Bar Association as their annual conference in South Florida to discuss the justice system, voting rights and gun violence. The association is the nation’s oldest and largest association of African-American lawyers and judges. Later this week, Martin and Fulton will also speak during the National Association of Black Journalists conference in Kissimmee.